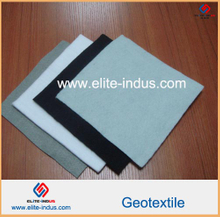 1),Non-woven Geotextiles are made from 100% staple polyester and polypropylene needle-punched filter fabric. Length: normal is 5.8M, can as per your request. 2),Woven Geotextile Made from polypropylene and or polyester filament fibers, Manufactured with high tensile strength and low elongation. Length : normal 100M, can as per your request.